Costume, cosplay, and accessories combined with technology. 3rd eye glasses augmented with touch-activated effects. 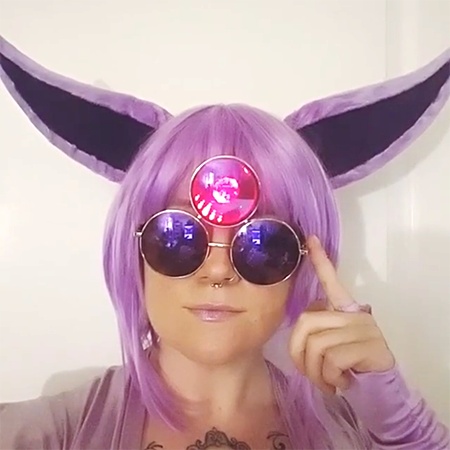 Custom infinity mirrors in a cat ear headband. 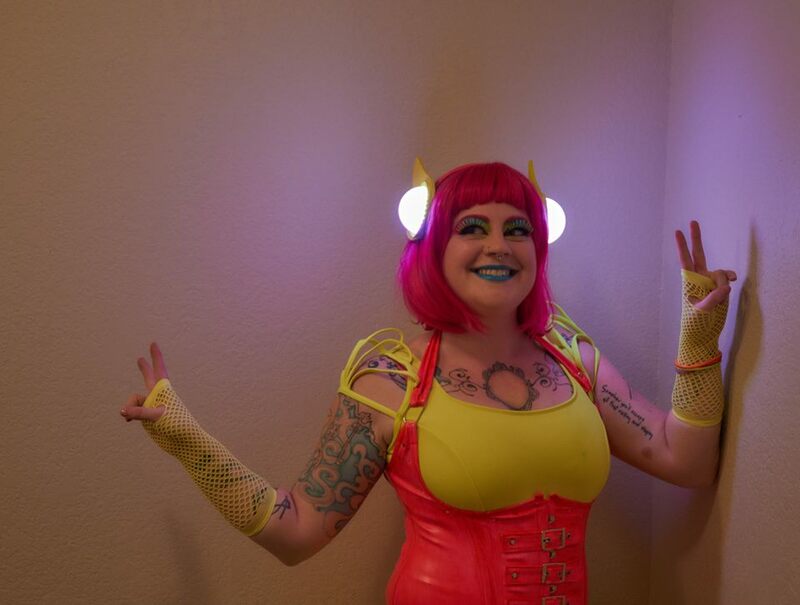 Light-up headband using Neopixel rings. Bow tie displays an animated heart when adjusted. Glowing cylon-inspired spine embedded into an open back dress. 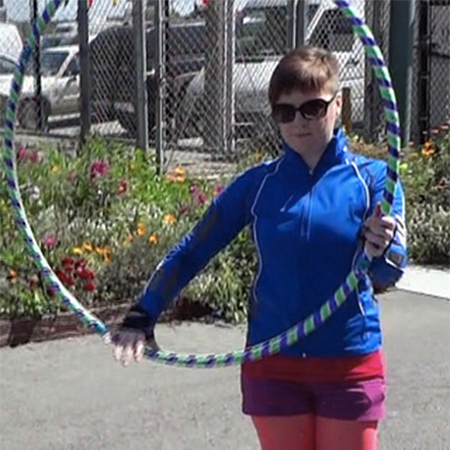 Augmented jackets that are triggered by contact with conductive fabric lined hula hoops. Pair of prom-themed costumes that activate when a partner dances with them. Replica prop from Netflix's Altered Carbon. Novelty heels with custom infinity mirrors installed. Light up patches to show team pride. 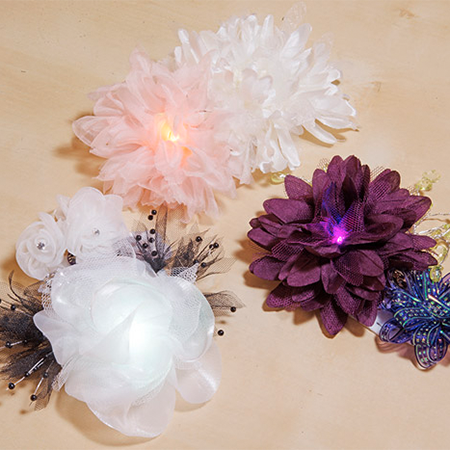 Silk flower with a built-in RGB LED and switches. Light-up hammer prop for a custom Ramona Flowers costume. Light-up costume wings using super bright LEDs and fiber optic strands. Collection of wearable electronic costumes for Bennington's Spring 2007 fashion show. Changes color with a ‘magic’ color sensing wand. Sparkling LEDs react to light levels in the room. Light-up wings controlled by a LilyPad Arduino. Costume glasses based on a Lady Gaga performance using photo slideshow keychains. Mean Girls-inspired connected costumes activated through remote control dolls.